Mastiff Games is taking some heat for pledging to donate up to $25,000 to Red Cross relief efforts in Japan, but only if it receives enough "likes" on Facebook. The situation in Japan is dire, to put it mildly, but the outpouring of international support for the country as it struggles to recover from an earthquake, tsunami and potential nuclear meltdown has been nothing short of inspiring. Mastiff Games, a specialty publisher of games like Shimano Xtreme Fishing, Major League Eating and Remington Great American Bird Hunt, is responsible for one such initiative, but there's a catch and it's not sitting too well with a lot of gamers. "I hope that you will join Mastiff and me personally in helping Japan's recovery," Mastiff CEO Bill Swartz wrote in an open letter released yesterday. "In addition to the funds that Mastiff and I are personally contributing already, Mastiff pledges that for every 100 people who like us on Facebook between now and the end of April, Mastiff will donate $100 to the Red Cross for Japan relief, up to $25,000." Unfortunately for Bill, much of the reaction on Mastiff's Facebook page and elsewhere hasn't been very like-like. Several comments have been strongly critical of Mastiff's efforts to exploit a great tragedy for cheap publicity and called on the company to pony up the full $25,000 with no strings attached. 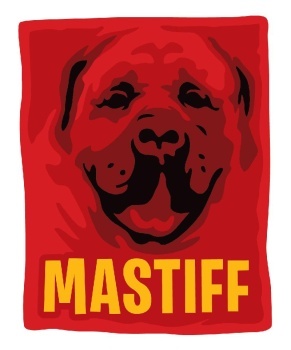 It had all the makings of a full-blown PR debacle, although cooler heads have since begun to prevail, at least to the point that the situation has downgraded from pure outrage to a debate over the relative effectiveness-slash-tastelessness of Mastiff's offer. My take? It's a little cheesy at first glance, but Swartz's letter also provided links to the New York Times' list of recommended charities for anyone who wants to donate directly, as well as to an organization called Animal Rescue Kansai. The proposed money is also a "bonus" of sorts, to be made on top of donations already put forth by Mastiff and Swartz personally, and it's a way for gamers who can't otherwise throw any coin into the pot to help out with relief efforts. It's pretty obvious to me that this is a legitimate effort to get more aid to Japan, but even if it really is a case of a small, niche publisher using the situation to grab some attention, so what? If the bottom line is that a little more help goes to Japan because of it, I'm quite happy to live with that. Alas, at this point it doesn't it will come to much either way; at last check, Swartz's letter had received only 39 likes.